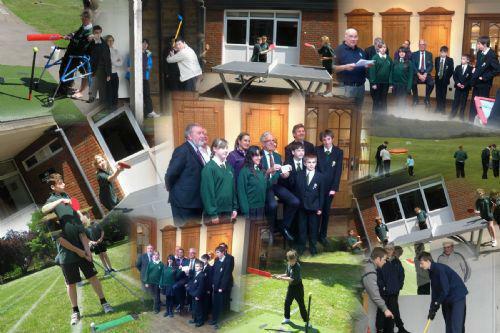 The Park School Woking and The Abbey School Farnham were recently presented with some brilliant new sports equipment, which Included new football goals and football kit, an amazing outdoor gym and specialist golf equipemnt and an outdoor tennis table set. 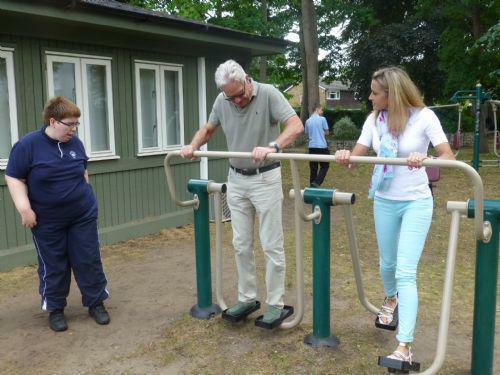 The equipment was purchased from funds raised by Chris and Renate from the Wentworth Club. 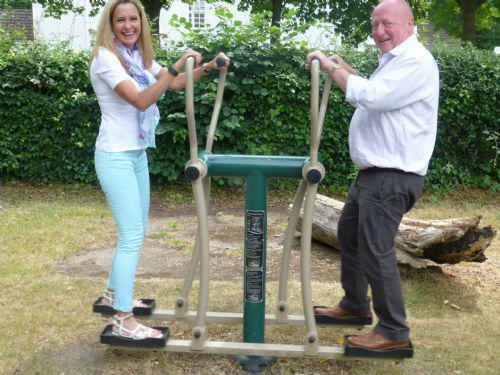 Here are a few pictures of the children, Chris and Renate and CWSNF committee members, trying out the equipment! Giving students constructive and structured play is very important in special schools, particularly for those on the autistic spectrum, and as always we were happy to help our outstanding special school community.